Today I went to the bank and the library. At the bank I got a debit card but it’s just a starter one. They are going to give me my real one in 2 weeks. I am so excited to save money. Grand-Dad gave me $160 already! 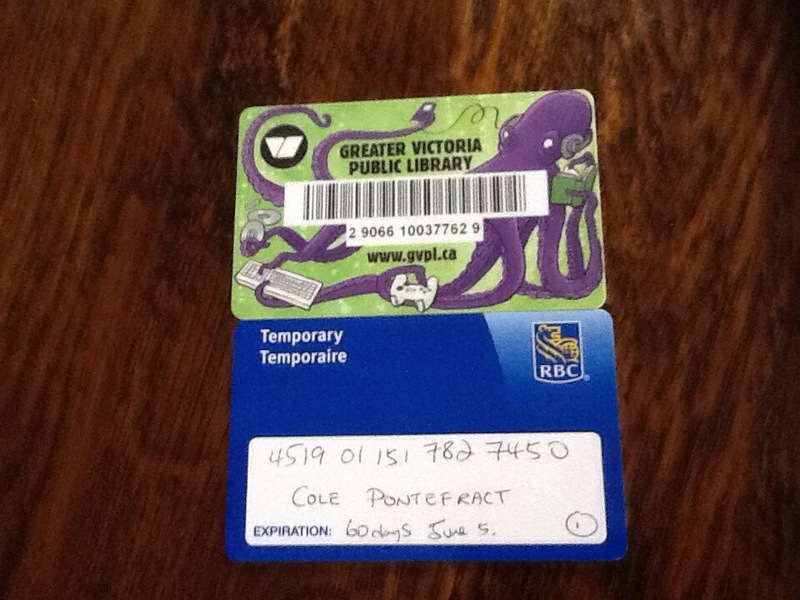 At the library I got a card so I can get books whenever I want. The library is really close to where I live. That was a fun day Cole. You were a proud boy … and I was a proud Daddio. Love ya. Congrats Cole. Firsts are aways fun and important. These two are real steps in growing up. Use the 2 cards wisely. Can’t wait to hear about the books you get and read on YOUR card and how you use your debit card. I am slavering up for collage.